Posted in Nutrition on March 18, 2012. Last modified on March 26, 2019. Read disclaimer. Children have special nutritional needs. As their bodies are growing it is crucial that they get all of the vitamins and minerals required for growth. 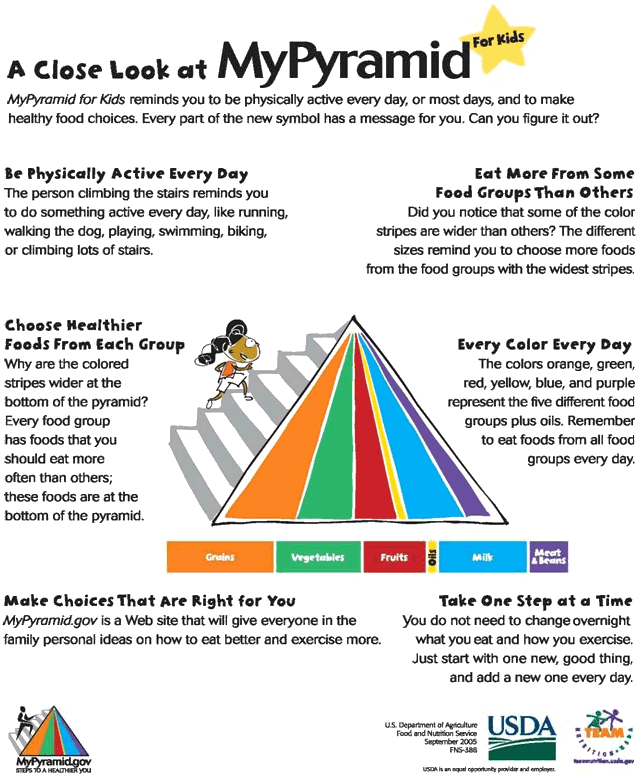 The traditional pyramid is still true and useful although the US government has created new materials to show the food servings recommend on a plate image. Both images are included here. 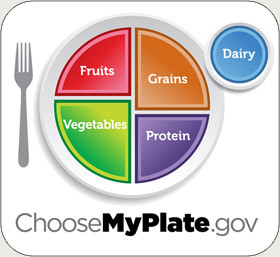 In addition, the US government recognizes the positive health influence of a vegetarian diet. The portion of the plate which has meat can also be provided through beans, protein rich grains such as quinoa, and nuts. The old saying you are what you eat is true. If you eat a healthy diet you are far more likely to be healthy. Supplements are not necessary when someone eats a balanced diet ensuring their vitamins and minerals are consumed through natural foods.